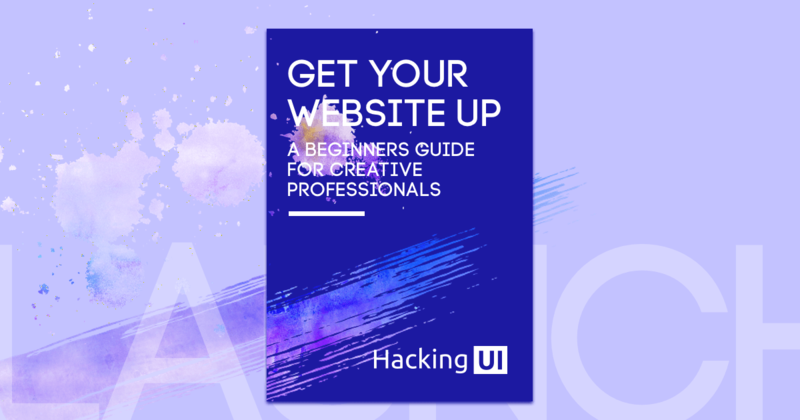 In this guide we will teach you – the creative professional, how to brand and create a business website for yourself, and also how you can create a website for free. We will do so by walking you through the steps of choosing your domain, buying it, paying and connecting it with a hosting service or choosing a free platform that can work just as well (such as Medium or Behance for designers, and Codepen for developers. In the bonus part of this guide you will also learn how to upload files to your site. NO complications: We’re not going to go into any advanced techniques, but just cover the basics. Enough for you to have your site up in no time. NO fluff: We really want you to get the gist of this thing called internet, and have the capabilities to create your own site without fear. We teamed up with we.design to bring you a .design domain for only $5!